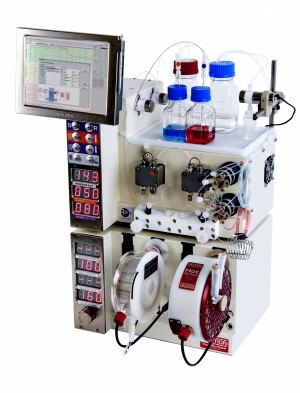 In a recent publication in the Journal of the American Chemical Society, Professor Richard Payne and his group at the University of Sydney have demonstrated a powerful flow technique for building long chain peptides, using the Vapourtec R-Series and a photochemical reactor. Solid-phase peptide synthesis (SPPS) is one of the most efficient methods of producing peptides chemically, but aggregation and folding events limit the method to shorter monomer sequences. Native chemical ligation (NCL) was developed as a method for combining the sequences produced by SPPS into the final peptide, by coupling two peptide sequences together using a terminal thioester on one residue and a terminal amine on the other. 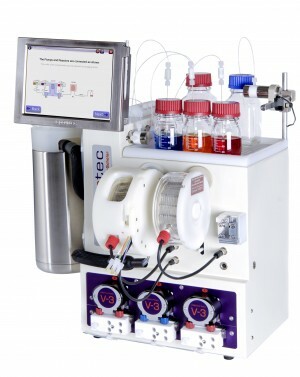 Prof. Payne and the group at the University of Sydney have used NCL in continuous flow using an R-Series equipped with 4 pumps, and after a number of optimisation experiments using model substrates, the group were able to achieve complete ligation giving high isolated yields with simple purification methods. 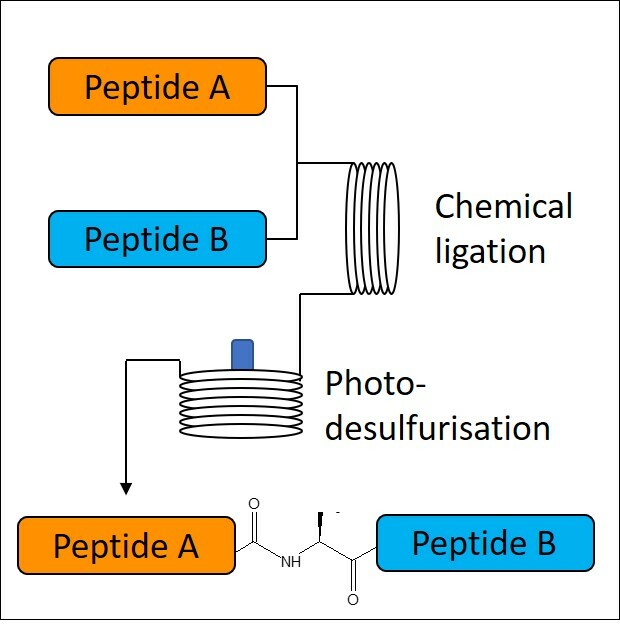 The group wanted to further explore the possibility of carrying out production of longer chain peptides using the R-Series by incorporating desulfurization in flow to yield the final, usable peptide. A UV mediated protocol was chosen and using a model system the desired product was observed after just 15 seconds. Following this success, the method was further tested using other products of the ligation experiments. With both elements optimised, the group set about combining the two steps on the R-Series to create a single in-line ligation-desulfurization platform, which proved very successful when tested using model syntheses. The real test came when the group applied their platform to the synthesis of two clinically approved peptides: Enfuvirtide and Somatorelin. Enfuvirtide is a 36-monomer peptide, and the group used their flow procedure to couple two halves of Enfuvirtide (1 – 18 and 19 – 36) that had been synthesised by SPPS, to successfully produce the correctly coupled and desulfurized peptide in a 40% isolated yield in just 36 minutes. Similarly, Somatorelin was produced in 57% isolated yield after a total reaction time of just 15 minutes. “This work by Professor Payne and the group at the University of Sydney represents what I believe is a significant advance in continuous flow peptide synthesis” says Dr Ryan Skilton, research scientist at Vapourtec, “the ability to combine two sequences that have been produced using SPPS, which can also be performed very efficiently in continuous flow, in a single flow procedure offers access to a huge range of larger chain peptides”. “A further benefit of this method that the conditions needed to couple the peptide sequences are so mild. This will be of significant importance to a chemist who has just built two peptide residues, and does not want to risk either becoming degraded by the final step”. 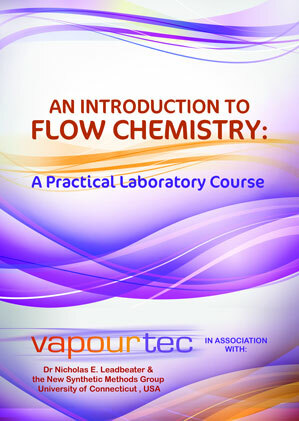 We at Vapourtec are very excited to see where this method will lead next.